Trailblazer Carabiner With LED Light And Compass - Aluminum Construction, Spring-Loaded Gate Design - Length 3” | BUDK.com - Knives & Swords At The Lowest Prices! 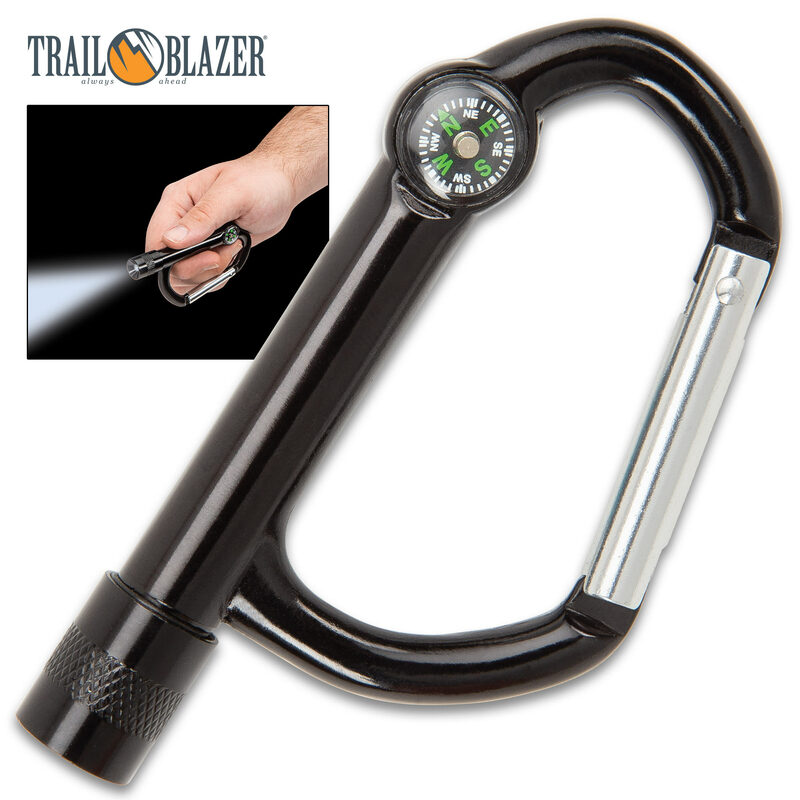 Okay, so, the design of our Trailblazer Carabiner with LED Light and Compass is sheer genius! Having both a powerful light and a compass right at hand is absolutely priceless. The multi-function carabiner will literally clip anywhere on you or your gear, taking up no room, whatsoever! It has a sturdy neon green aluminum construction with a spring-loaded gate design, which makes it easy to open and lock securely. The integrated LED light is bright white and uses four AG3 batteries (included). A mini black dial compass is also integrated into the multi-purpose design. 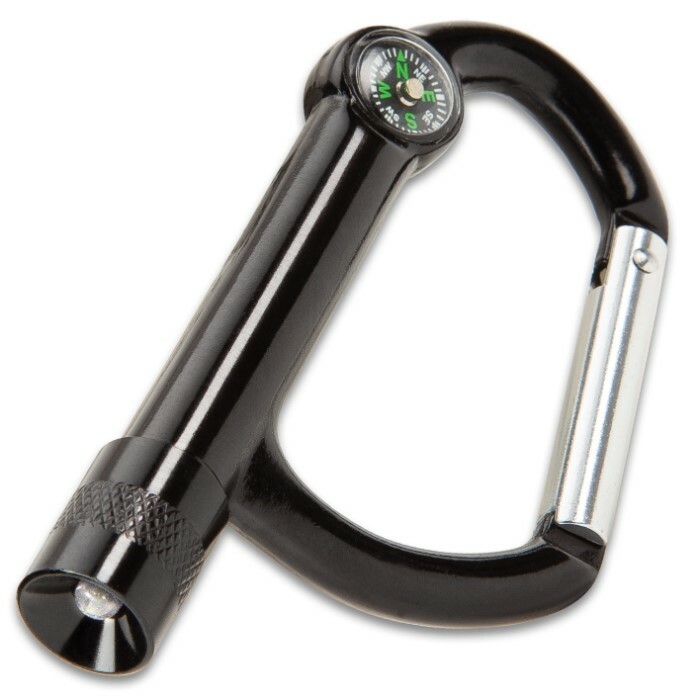 Honestly, get a few of these awesome multi-function carabiners for you, friends and family!